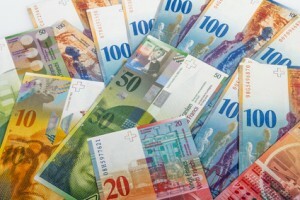 The Forex world is still in a shock after the recent SNB announcement. The forex world is still in shock after the recent SNB announcement. Apart from customers, this event had an extreme impact on brokers and other companies working with currency exposures. The phones are still ringing, and everyone is trying to find out if their broker, liquidity provider or partner is still in business. There are already lots of discussions on the topic of risk models and risk management systems practiced by brokers in general, same as in individual cases. But it is interesting that this event had a more severe impact on STP brokers rather than market makers, seen as classic risk takers. No one is saying that this is a “risk-free” business model any more. Of course, market makers might be in peril too if their exposure in CHF was more on the long side. Nevertheless, if some of their clients lost more than what was on their accounts as a result of the extreme market move, market makers can write this off in their books with no financial impact at all. And for the lucky, profitable clients, we can already see some brokers are re-quoting and re-evaluating already closed trades, erasing clients’ profits ex-post. STP brokers are a lot less flexible in this regard, and they are facing big troubles with their solvency. Why is that? Again, very simply, clients of STP brokers who longed CHF realized enormous profits in some cases, but STP brokers earned only small amounts of commission or markup on each trade. On the other hand, clients of STP brokers that shorted CHF busted their accounts and, in many cases, due to low liquidity at the time, ended up with negative accounts and a loss far exceeding their own deposits. Many STP brokers will probably try to get that money back from their clients via other trading accounts held by them, or even by asking clients to send the negative amounts from their other savings. This process, of course, returns only a fraction of the loss in a long-term period and that is why it is the broker who takes the hit. The market move was so significant that this loss put many brokers out of business instantly. Even the giant Alpari UK is now insolvent. You can say that there are a lot of STP brokers whose clients didn’t short CHF or worked only with a small leverage on this currency. But this doesn’t mean they are safe either. Every STP broker holds a considerable amount of its capital on margin accounts with its liquidity providers. And now they are starting to realize that Alpari or FXCM are their liquidity providers and that they are not completely safe all of a sudden. There is also a number of other STP brokers with inter-bank liquidity pools and reliable direct bank liquidity connections that survived this event without any significant losses. In Axiory, we are happy to say that we are among them, coming out even stronger from this whole event. Thanks to our liquidity we were able to close almost every trade in time before it could make some significant loss on our side. Of course, the markets went crazy and therefore it was impossible to deliver usual quality of execution with minimal slippages. However, taking into consideration what happened elsewhere, our liquidity has proven itself very reliable even in such conditions. Leaving behind almost no negative accounts and some very lucky customers multiplying their accounts, Axiory even decided to compensate those few accounts that ended up in slightly negative numbers, so that the clients do not lose more than what they are able to afford. David is CEO at Purple Technology and co-founder of Axiory brokerage. David graduated from Newton College with specialization in “Management and psychology”. There started his passion for leadership, coaching and management. He stands behind open company culture and new management techniques in many projects. 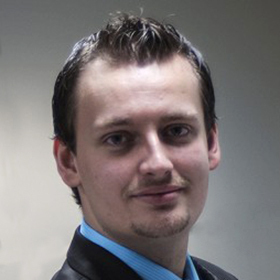 He believes that work environment is the most important element and a first step to creating amazing products and services with human approach. You can find all these elements in Purple Technology products or white labels that help brokers and banks to meet their goals and enter the FX market. And for Money Managers there is Axiory – a company that offers one of the most sophisticated solutions for professional traders.